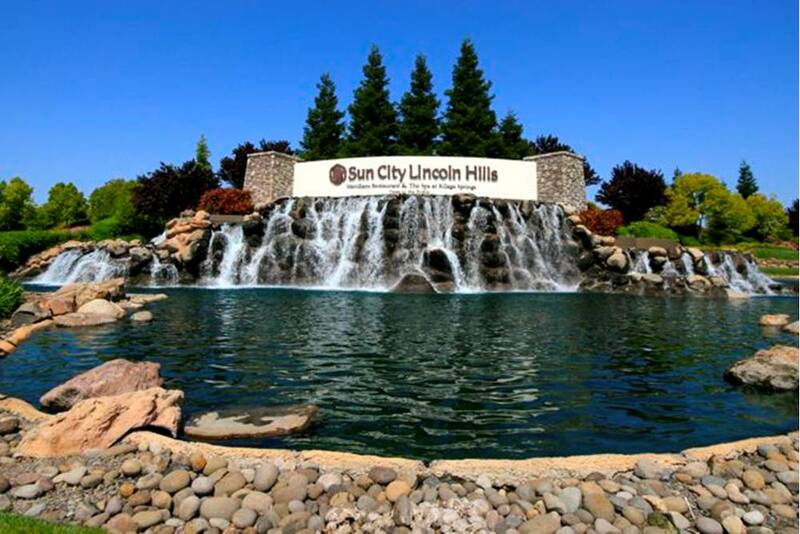 Sun City Lincoln Hills is a spectacular Del Webb 55+ community in beautiful Northern California. Since opening the first Sun City community in 1960, Del Webb has gained a reputation for offering impressive active adult developments. Today, 55Places.com makes it easy for homebuyers to explore Sun City communities across the country and find the home of their dreams. Del Webb's Sun City line of communities feature resort-style amenities, beautiful grounds and homes specifically designed for active adults. The first Sun City was opened near Phoenix, Arizona, in 1960 and was completed in 1978. In the decades since, Del Webb has gone on to create numerous active adult communities across the country, including many which bear the Sun City name. As Sun City communities continue to grow, there are developments which meet the needs of many different active adults. Those who want a choice between new construction and resale homes may prefer a newer community, such as Sun City Peachtree, in Georgia; Sun City Mesquite, in Nevada; Sun City Texas in Texas, or Sun City Carolina Lakes, in South Carolina. While many Sun City communities are continuing to develop, there are also several which have been completed. These may be a better choice for homebuyers who want an established community without the hassle of construction. Just a few completed communities include Sun City Summerlin, in Nevada; Sun City Lincoln Hills and Sun City Palm Desert, in California; and Sun City Huntley, in Illinois. 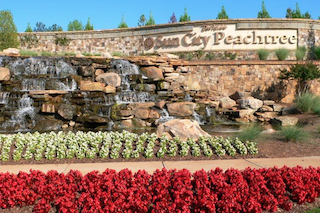 In Northern Georgia, Sun City Peachtree offers world-class amenities and the famous Del Webb lifestyle. Finding the right Sun City community for you is easy when you use 55Places.com. You can browse communities by state or narrow down your choices with the Advanced Search tool. To browse by state, click on your chosen state from the map at the top right of the home page. This shows you listings for every community in that state. You can scroll through this list for Sun City communities or further narrow the options by choosing a region from the list on the right. Using 55Places.com's Advanced Search tool lets you find communities that fit a specific criteria. Start by selecting your favorite state or states, then make choices from the other available options. These include community size, age-restrictions, home types and specific amenities. You can also limit your search by the age of the community and the typical price of its homes. As you make choices, the list of matching communities will update at the bottom of the screen. Each Sun City community has its own distinctive amenities and home styles. They may include golf courses, swimming pools, state-of-the-art fitness centers, sports courts and more. To find out more about Sun City communities across the country, begin your search at 55Places.com.